County Line Ent Credenza Rum Walnut By Sauder. 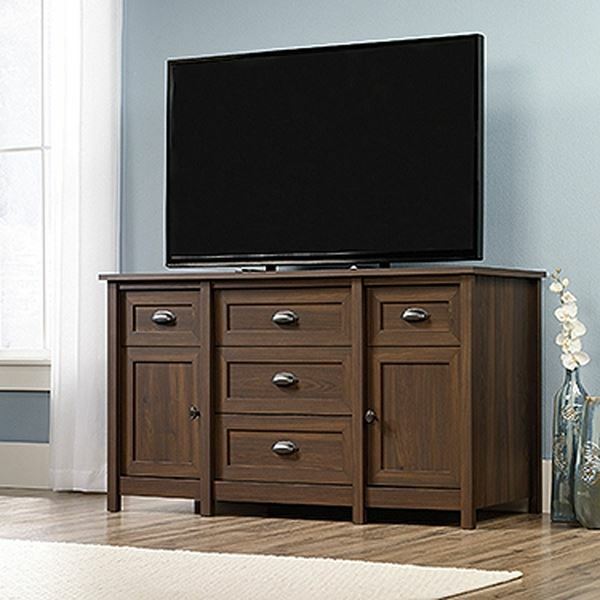 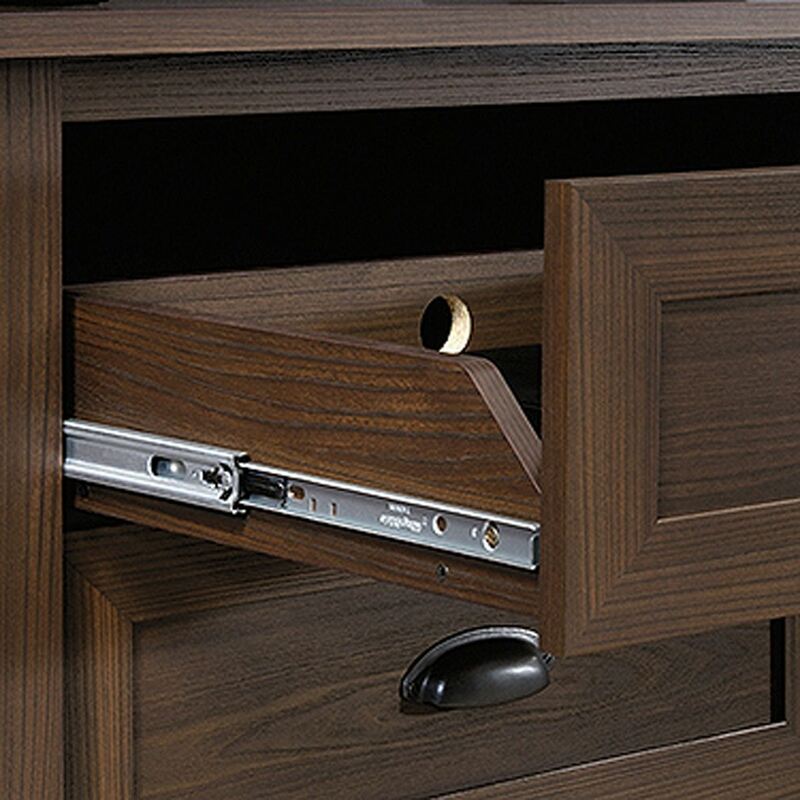 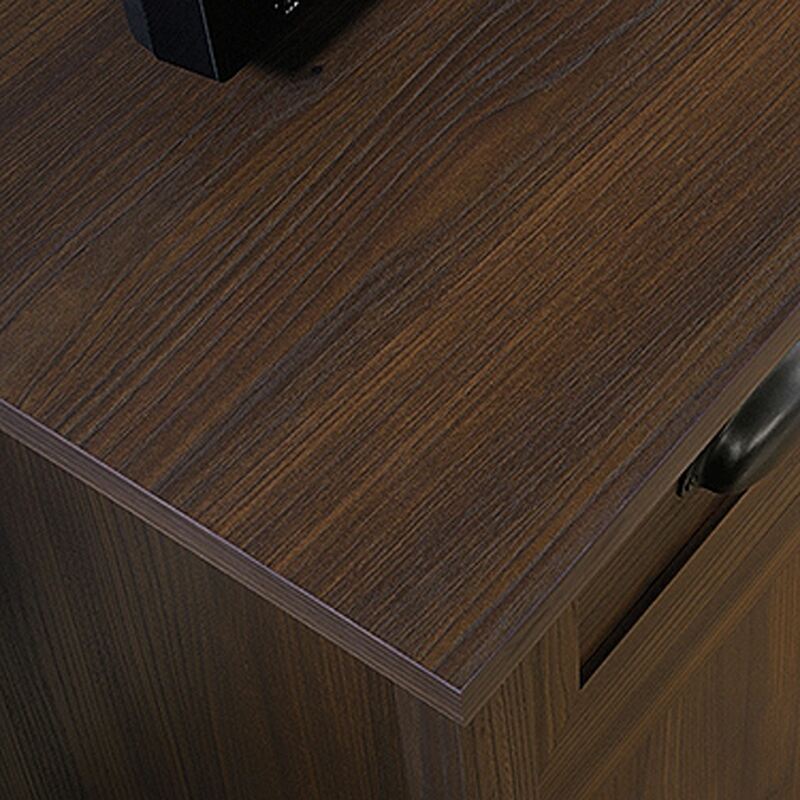 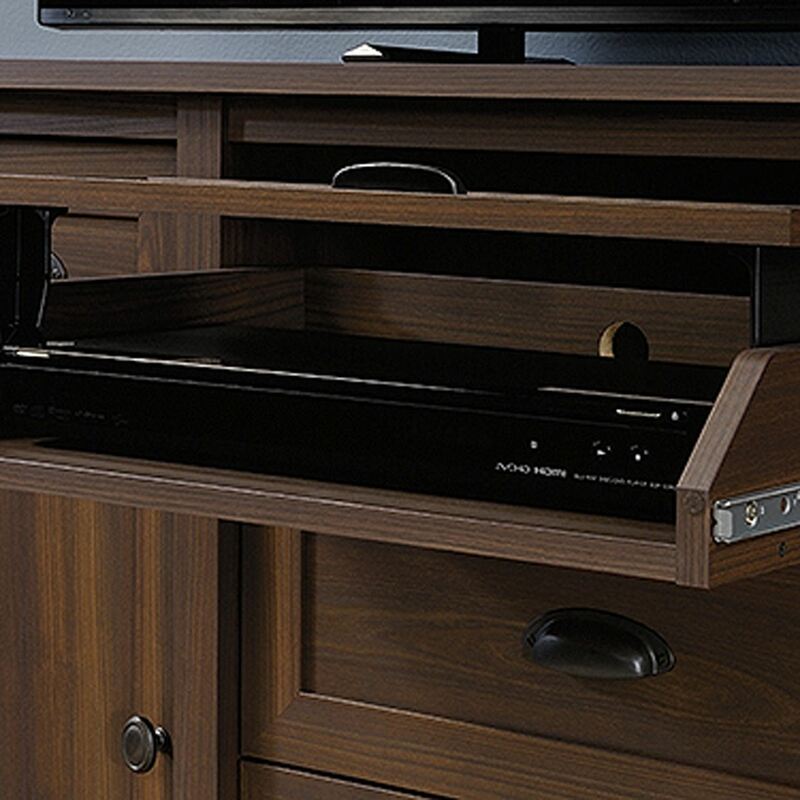 Use this entertainment credenza as a TV stand, to keep audio and video equipment safe and hidden and much more. 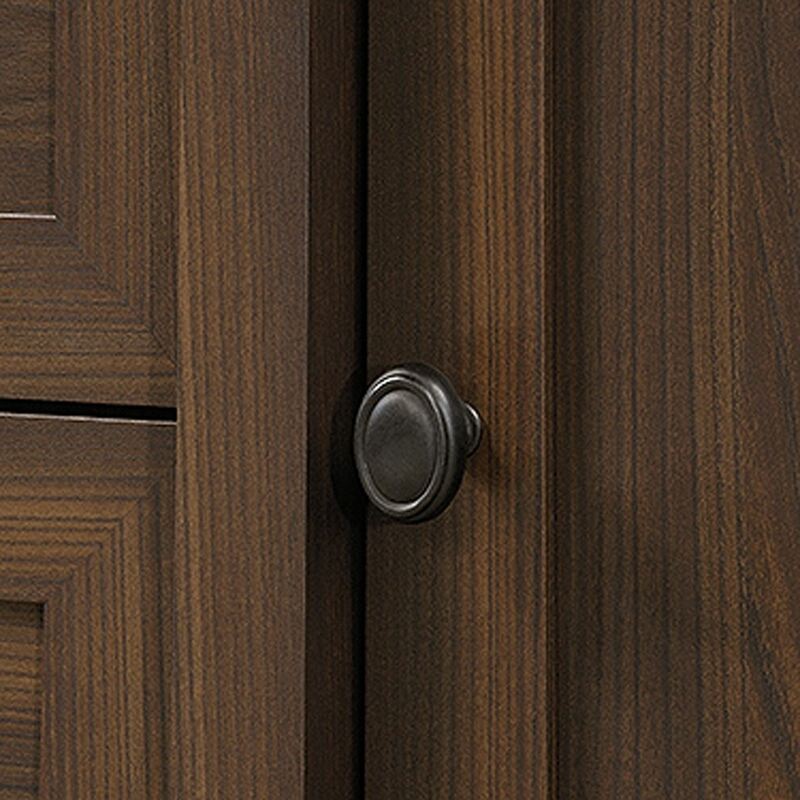 Adjustable shelf behind each outside door. 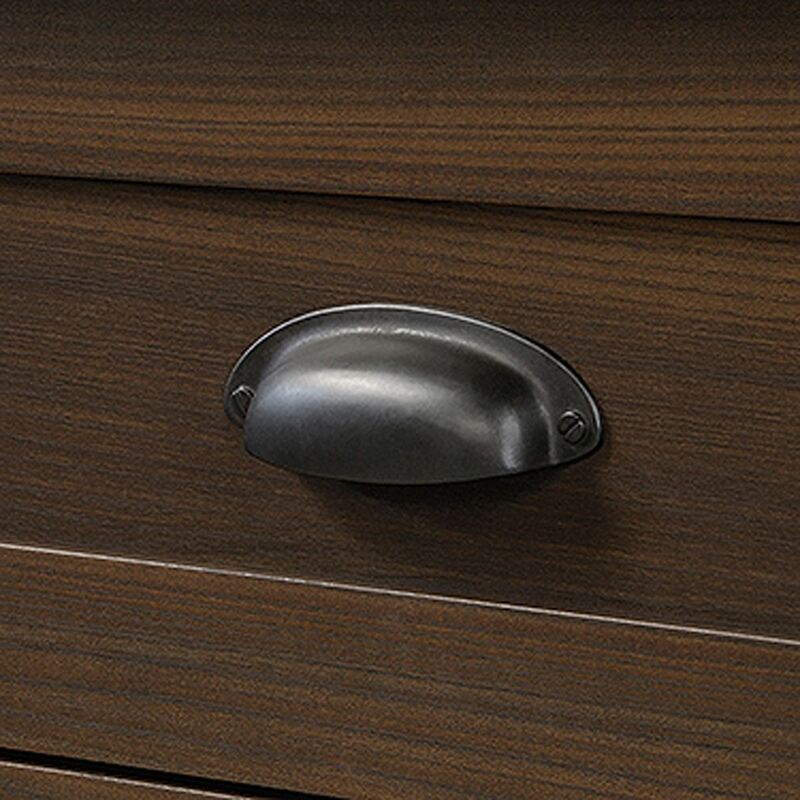 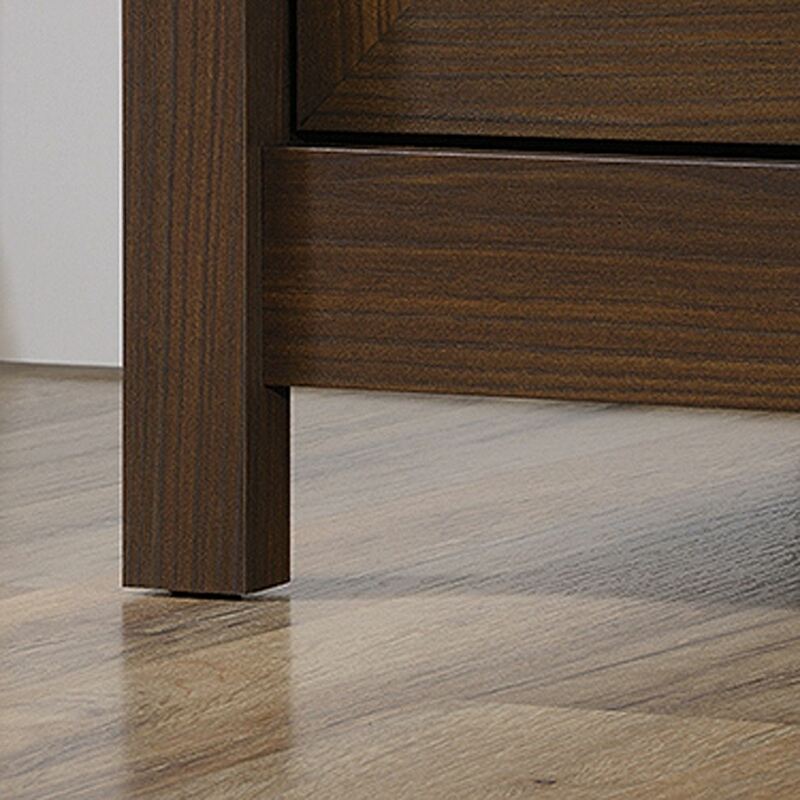 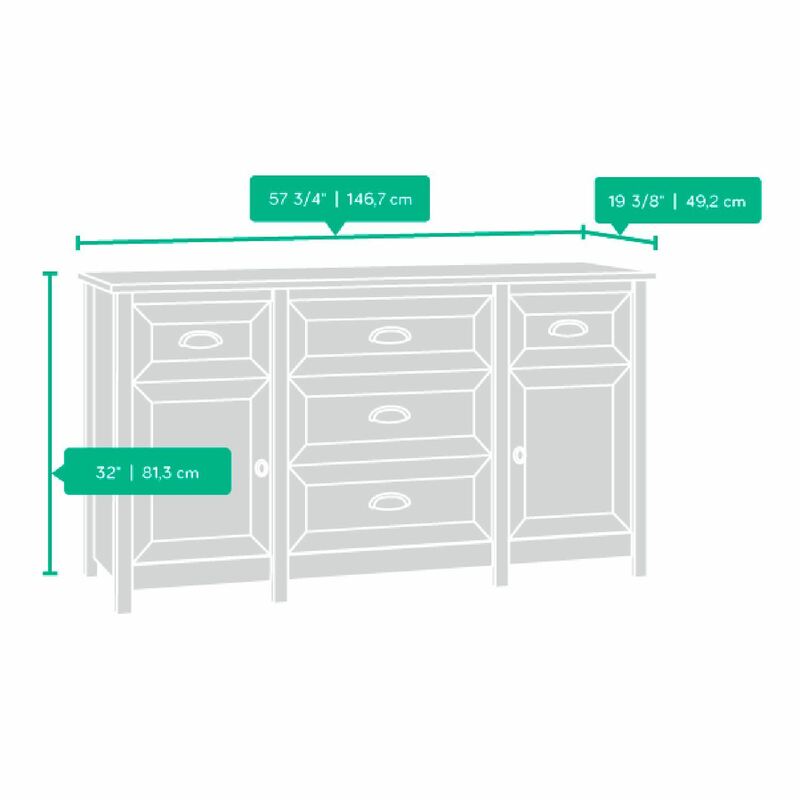 Four drawers with metal runners and safety stops features patented T-slot drawer system.